Russian composer Pyotr Ilyich Tchaikovsky is the creator of the iconic music for some of the most beloved ballets in history. Audience favorites include the beautiful melodies found in The Nutcracker, The Sleeping Beauty, and Swan Lake, among others. While Tchaikovsky was celebrated for his professional success and popularity, the societal constraints of life in 19th century Russia created constant inner conflict between his private life and the public persona society required of him. This World Premiere delves into the complicated personal life of this acclaimed musician and features a stellar creative team that includes composer Oliver Peter Graber (Dorothy & the Prince of Oz), Russian historian Daniela Kolic, New Zealand’s top designer Tracy Grant Lord, and Resident Choreographer Ma Cong, and Artistic Director Marcello Angelini. The musical score will feature a blend of Tchaikovsky’s greatest works along with other influential composers of the time, as well as some brand new music by Oliver Peter Graber. Pre-performance discussions are held in the Westby Pavilion on the Promenade level 30 minutes prior to curtain. 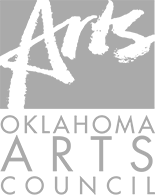 Discussions are led by Tulsa Ballet artistic staff and visiting artists, and topics may include the choreography, musical score, costuming, or other subjects related to the performance. Pre-performance discussions are free and all ticket holders are invited to attend. Join us in the VIP Lounge for wine and hors d’oeuvres in the Westby Pavilion during intermissions! VIP Lounge admission is for Barre Society, Circle of Friends and Founders’ Society members. Become a member today and join us in the VIP Lounge at Tchaikovsky! Donor benefits start with gifts of $250 or more. To become a member, click here. Listen to the music below!